He’s right. The question is, does The Daily do that? Can it, as he also said "make the business of newsgathering viable again"? In some ways, iPad apps offer a reassuring step backwards for old school journalists, because of the linear presentation of content, where the reader flips through pages just as they do in a magazine or newspaper, being exposed to ads along the way. Nothing wrong with that. The Kindle shows that an electronic version of a book works perfectly well, bringing the ease of the old medium together with some modest electronic enhancements. But the Kindle is not a re-imagining of the book. From all that I’ve seen and read of The Daily, it is really just old-style journalism with some electronic enhancements: great graphics, a bit of interactivity, some chances for reader feedback. But to my mind it’s not a re-imagining. It’s a backward-looking presentation of a print product on an electronic medium. If you are very old (and British) you might remember how the BBC handled plays in the early '60s. They stuck a camera out in the auditorium and presented a view of the drama akin to that you’d get from a front row seat in the dress circle. When the broadcast started the curtains were drawn, when they drew back the action was presented. There was very little diversion from the one-viewpoint presentation that someone sitting in the theatre would have enjoyed. Such an approach to broadcasting drama ignored the fact that there had been a movie industry for many decades. It sought to replicate a medium – live theatre – that was, and remains, supreme within its own ambit. There is nothing like the immediacy of a live performance. But a drama on TV isn’t a live performance. And a newspaper or magazine on an electronic device, with a few added bells and whistles, is not going to take journalism into the new era. All the talk of Web 3.0 may sound like a load of hype to old schoolers such as Mr Murdoch, but it actually represents a seismic shift in the way content is consumed in the online medium. The emerging web is a place where content is very important, but where it can be personalised to suit the needs, concerns and interests of each individual user; where a mix of personal preference, location, interaction with friends and other social groups, can all be blended with that content. It’s a place where the desire to follow through on content – which might be something as simple as a review – by finding where the product is stocked locally, what it can be bought for, how many of your friends or, more widely, those with characteristics you share in common have decided to buy it, becomes a seamless part of the experience of consuming a piece of journalism. 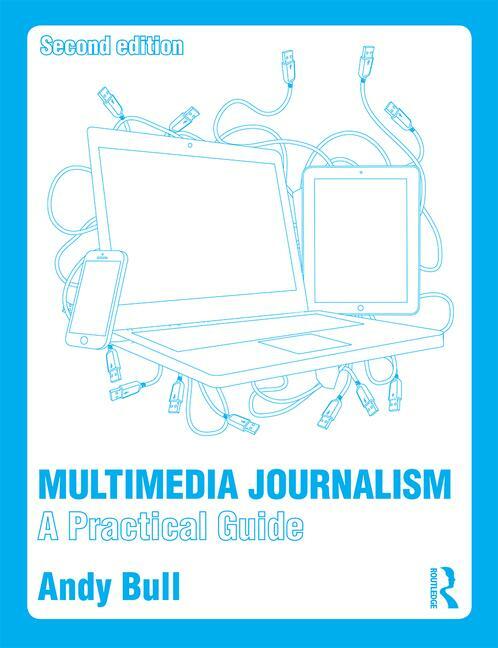 If we want to re-imagine our craft we need to imagine it in a context where our journalism, our content, while still being perfectly viable in the print medium, can be adapted for the emerging Web 3.0 version of multimedia. So I don’t see The Daily as being more than a half step forward. Why, even its name harks back to a time when there was one news update a day. Infact, this app will be updated at numerous points during the day. What seems to me far more of a re-imagining of our craft is an iPhone app such as Vogue Stylist, where Vogue content is chopped, diced and delivered to each individual user as they want it. Where coverage of trends and advice on what to buy is married with the ability to upload images from your own wardrobe. Where you can see what others who share your characteristics are buying. Where you can engage with friends. Such an app is a much more profound step towards a re-imagining of journalism. If we re-imagine our craft effectively we will see that our content really does have a value in the new world of Web 3.0; that it can be made profoundly relevant and important to each reader; that it can be personalised to their tastes and interests and, most importantly; that it becomes a powerful link in the chain that we all experience. The chain of finding information, views and intelligence, of sifting it, seeing what our peers think of it, and reaching decisions – whether they be purchasing decisions or conclusions about politics, a football game or anything else we are interested in. Coincidently, the artist David Hockney showed just how a re-imagining – I think artist prefer to talk about new ways of seeing – can be achieve in an article in one of Mr Murdoch’s papers, the latest Sunday Times. Hockney is famously adept at seeing the opportunities for an artist that each step forward in technology offers, whether it’s the fax or the iPhone. The big pockets he had put in his suits to take a sketch pad now hold an iPad. He uses an app that enables him to ‘paint’ on the iPad’s electronic screen. For him, the iPad takes painting into a new era. The Jeep is fitted with a rig holding nine Canon DSLR cameras. “These were set up to shoot high-definition video and wired to a small nine-screen monitor in the back seat. They would then drive at 5mph twice up his favourite country lane, Rudston Road, once with the rig pointing to the left and once to the right. Hockney would sit in the back, watching the monitor. I think that last comment is the most pertinent, and is worth asking in respect of The Daily. Does the Daily make you feel like you have never seen a newspaper before? If it does, then Mr Murdoch’s team has successfully re-imagined our craft. If it doesn’t, then they ain’t.